Baby P weighs 6 1/3 lbs and measures a bit over 19 inches head to heel…about the size of a of a bunch of Swiss chard. Weight Gained: hopefully not too much! Being on maternity leave, in this heat, has made me lazy. Work kept me super active. All I’ve done at home is clean and watch shows on Netflix. Workouts: Walks around the neighborhood with the pups. When it cools down in the evenings, the hubs and I take them out for a nice stroll. 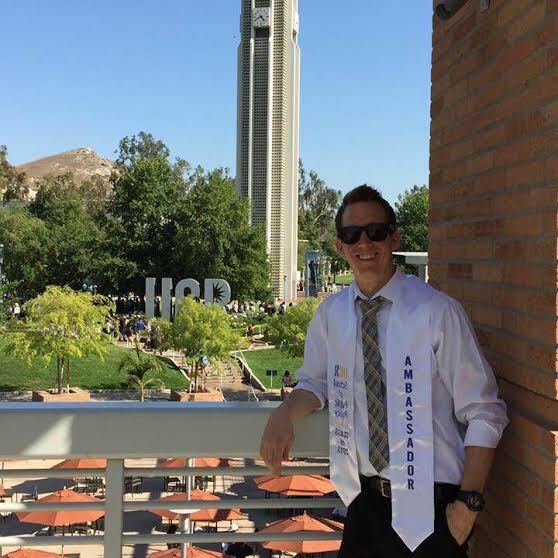 Mild headaches – I’m blaming it all on Southern California’s heat. Triple digit heat is just not the greatest weather conditions to endure during pregnancy. Nosebleed – again, I blame the heat as well as being pregnant. Dizziness – I always have dizzy spells when the weather heats up. Don’t know why but I do. And I’m blaming pregnancy too. Aches and pains in the back, legs, lower abs and groin area. Doing chores and just being on my feet for short amounts of time just kills me. Slight nausea after eating…not to mention, taste buds are out of whack. What I mean by that is… EVERYTHING I eat leaves a weird taste in my mouth. Mild swelling in feet and ankles. Sleep: Definitely starting to get uncomfortable. The belly is just heavy. And having to lay on my side… the weight of the belly makes it feel like it’s about to fall off! Once I find a comfy position, I have no problem falling asleep. But I’m still getting up 2-3 times a night to use the potty, and getting in and out of bed is quite challenging. Any Baby/Pregnancy Related Purchases? No, but continuing to receive gifts for Baby P! Gift cards, of course. And received a gift from a friend in Hawaii. 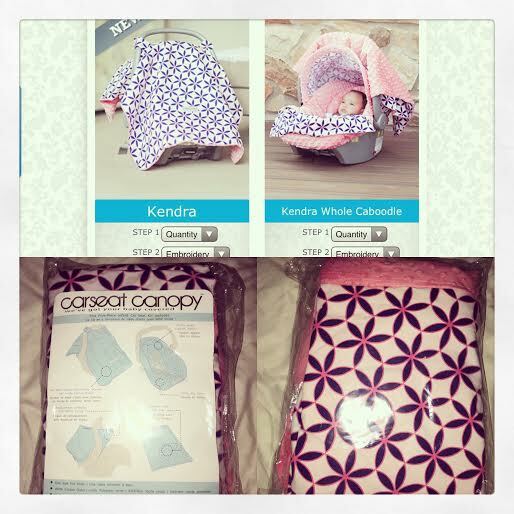 It’s a car seat cover/canopy set from Car seat Canopy… And I cannot wait to use it! Stretch Marks? And with less than 3 weeks left to go, I think I see stretch marks. Which I’m depressed about. They’re red right now…and it’s hard to really tell if they are really stretch marks. I guess lathering it up with lotions and oils every day didn’t help me at all…and as vain as I sound right now, I’ll eventually get over it and accept it. And that doesn’t mean I love Baby P less or hate being pregnant…so for those of you reading this who are criticizing and judging me right now, just don’t. I’m sure I will wear these marks as a badge of honor but for now, just let me sulk. Watching my body change and transition has been both amazing and yet difficult at times. And that’s all I’m going to say about that. Miss Anything? With Baby P nearing her due date, I am already missing the thought and idea of her being in my belly. Feeling her movements first thing in the morning, all throughout the day, and the last thing before I sleep at night… I’m going to miss that. 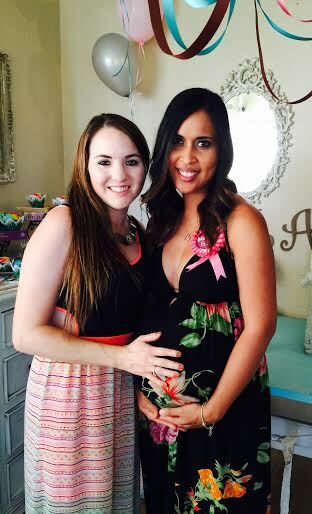 I love her and can’t wait to meet her…but the time spent being pregnant with my baby girl will be missed. Wedding Rings On or Off? I haven’t put them on since that one day… My hands aren’t swollen but I don’t want to take the chance of having my rings get stuck on my finger. Happy or Moody Most of the Time? Happy! And just irritable because of the heat. Any Movements? She is active all the time! I love watching her movements. Makes me smile. Looking Forward To? 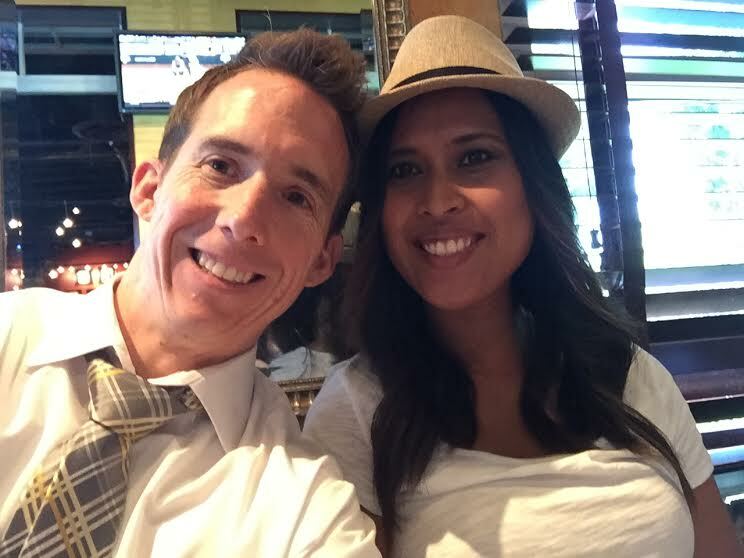 The next doc appointment… to see Baby P and find out if we are progressing nicely! Hubby and I have been counting down! 36 weeks pregnant and totally in nesting mode!!! Officially went on maternity leave June 11th. Been trying to get everything in order in our tiny little space… sorting Baby P’s clothes and just organizing and getting everything ready for her arrival. All the while, she continues to bake inside my ever growing belly. What Has Baby P Been Up To This Week? 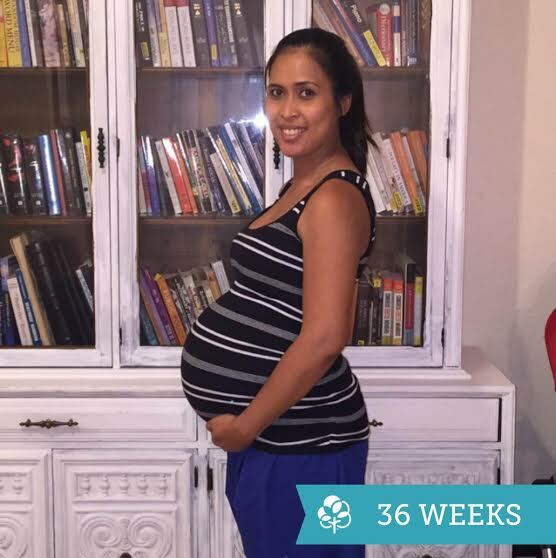 At my 36 week check up, Doctor said Baby P is healthy and right on target! She is already head down and in position for whenever she’s ready to come. That’s exciting news, no doubt… but I can’t help but feel a little nervous, too!!! 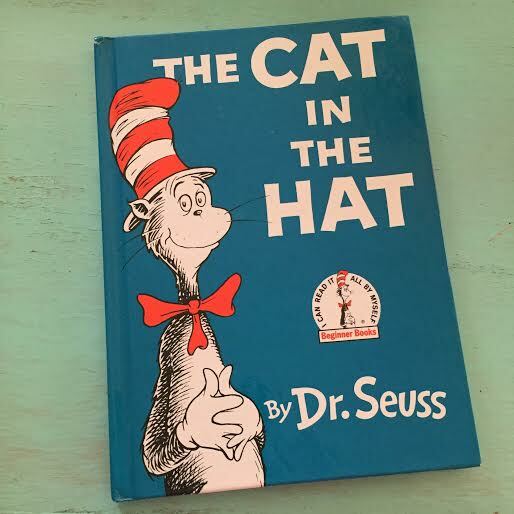 Baby P is still packing on the pounds (about an ounce a day) and is now almost 6 lbs and more than 18.5 inches long – about the size of a head of romaine lettuce. She is shedding most of the downy hair that covers her body as well as the vernix caseosa – the waxy substance that protects the skin during its nine-month bath in amniotic fluid. Baby P swallows this stuff, along with other secretions, which forms a tar-like black substance called meconium, which Baby P will pass in her first bowel movements. At the end of this week, she will be considered “early term.” Full term is 39-40 weeks. And she is most likely in head-down position. What’s Been Happening With ME This Week? Weight Gained: Up another 4 pounds. Whew. Thought I was gonna be up another 10 lbs the way I’ve been eating!!! That brings us to a total of approximately 30 lbs gained so far (from my last pre-pregnancy weight check). I’m ON TARGET so I’ll take it!!! Workouts: Lots and lots and lots of walking!!! And even that gets painful after only a few minutes of it. Flintstone feet! Chubby toes and swollen feet… gotta love the last stages of pregnancy combined with this horrible SoCal heat!!!! Aches in the groin area! Yup… that, too, comes with the territory! And because of the aches in that very sensitive area, I’m officially waddling everywhere! Even getting out of bed is difficult. Baby has definitely dropped. How do I know? I can now breathe a lil easier (yay!). But the sucky part is? She’s lower in the lady part region so a lot of her movements hurt. Oh well. Just a little bit longer!!! Exhaustion level is about quite the same. Food Aversions: Asian Food. Because after I eat it, it throws my taste buds out of whack and everything else I eat afterwards just doesn’t sit well with my belly. Food Cravings: Nothing in particular. Maybe that whole deal is over? I dunno, we’ll see right? Sleep: Pretty darn good now that I get to sleep in past 4am!!!! Oh the things we as adults get excited about! Any Baby/Pregnancy Related Purchases? Oh yes. Quite a few actually. So with all the gift cards we received from the shower, we bought things we didn’t get: receiving blankets, towels, socks, mittens, diaper cloths, and other necessities. And even after all of that, we still have a good amount of gift cards leftover (Baby P is set for awhile!). And then I had to buy some things for me. Stuff for my hospital bag. A new robe, some pajama bottoms, new slippers, nursing bras, nursing pads, and a bunch of toiletry items (you know, those little bottles they sell for travel so I don’t have lug around my regular bottles of shampoo and stuff). After all that shopping, I thought we were finally set and ready to go. I figured, now all I have to do is ALL of Baby P’s laundry, pack mine and hubby’s hospital bag, and then clean, clean, CLEAN right? Wrong. When I was done with Baby P’s laundry, I decided to get her infant car seat all cleaned and installed into our car so that we would have one less thing to worry about when the time comes. The car seat given to us by my lil sis-in-law who kept it in really good condition. Except, when I went to clean it and put it together (the harness straps had been disassembled so she could wash the car seat cover before putting it away in storage), I realized that one of the metal pieces that actually holds the strap in place was missing. Go figure. We tried to see if we could order the part online but everyone who ever carries this part is out of stock and would take anywhere from 6 weeks plus to have it delivered. Yeah we ain’t got time for that! 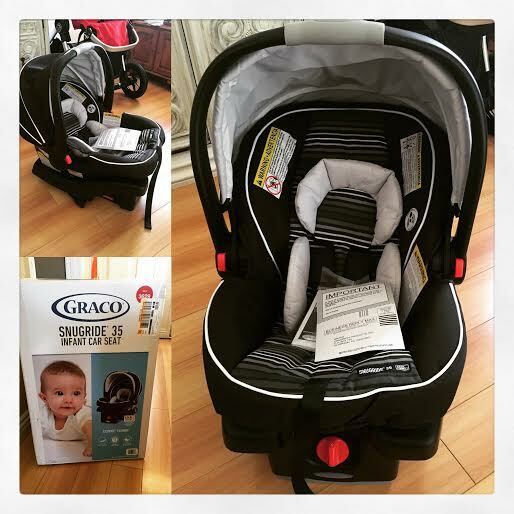 So… we went out and bought a brand new infant car seat. NOW, it is safe to say… we are ready (baby gear-wise) for Baby P!!!! Stretch Marks: None, nada, zilch! Let’s keep it that way! Wedding Rings On or Off: Haven’t tried to put them back on yet. Happy or Moody Most of the Time: Definitely happy. A little emotional at times. But hey, I’m pregnant and I’m allowed to get emotional. Any Movements? Yep. She loves to beat me up from the inside! Fun and/or Interesting Things From The Week? Not that this is baby-related, but it definitely is worth something to mention! 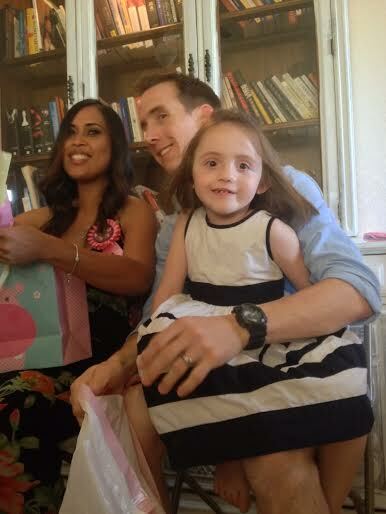 While Baby P may not have seen this event take place, she definitely heard every bit of it. 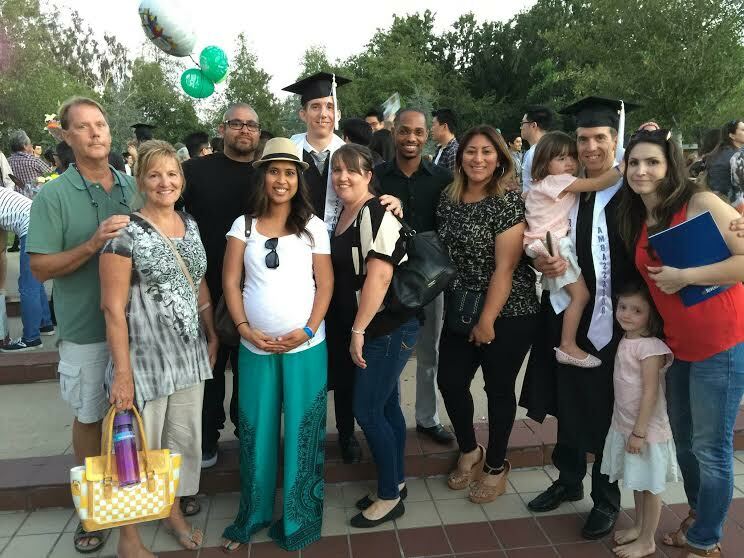 She was able to witness, in her own special way, her daddy graduate with honors from college! Such a great accomplishment for him as well as his little growing family. We (both Baby P and I) could not be more proud. So many awesome things happening in our lives, how could I not share it with the world? 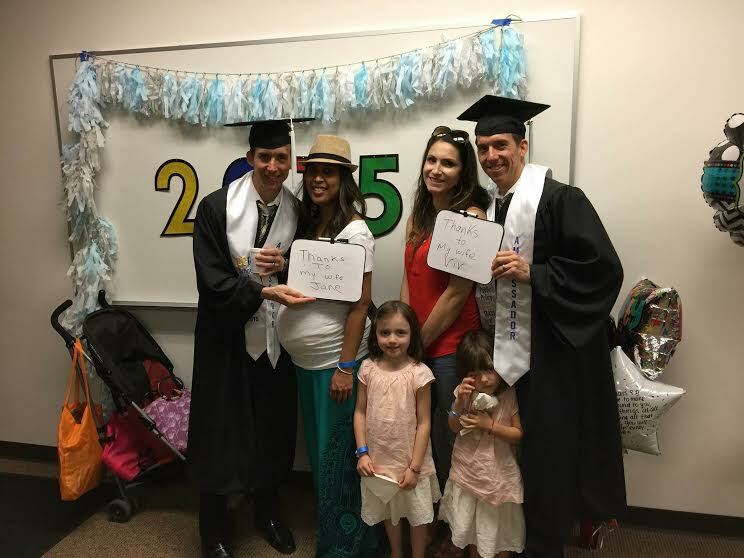 The family congratulating the Twins on a job well done! Looking Forward To: Relaxing once I’m done with all this cleaning and organizing. Enjoying this little “vacation” before this Baby comes. And, of course, counting down to Baby P’s arrival. 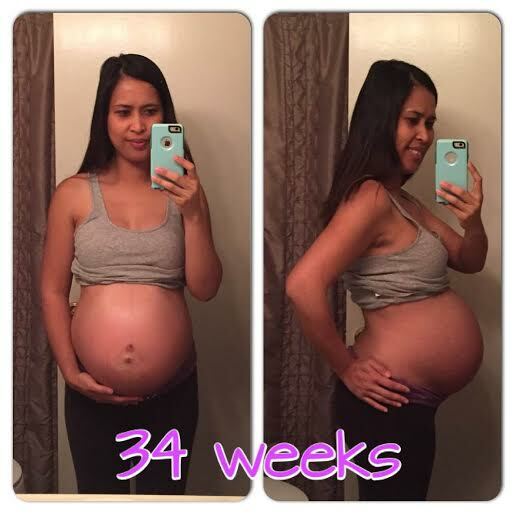 We’ve made it to 35 weeks! Eeeeek! Baby P will be here in approximately 5 weeks!!!! I sure hope she decides to stay in long enough for me to enjoy a 4-week break from work! So What Has Baby P Been Up To This Week? With not much room to maneuver now, Baby P is over 18 inches long and weighs about 5 1/4 pounds. She is the size of a honeydew melon! Because she is so snug in my womb, Baby P isn’t likely to be doing dramatic somersaults anymore, but the number of movements I feel should remain about the same. 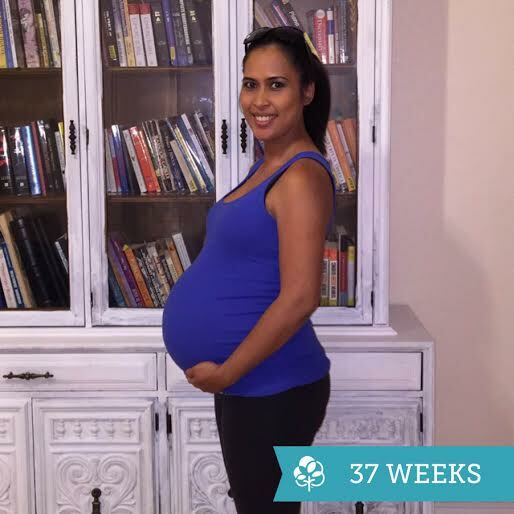 Weight Gained: Friday June 12th is my 36 week checkup. I’ll know then! Workouts: Screw it. I didn’t work out at home at all. But you know what? I get enough of a workout at work. I sit at a desk to check email and look at directives maybe 5% of my work day and the rest of it is being out on the sales floor or in our Visual work room working on stuff, so I’d say that’s being pretty active to me. Food Aversions: None. I love food! Food Cravings: Just a couple. Pizza and donuts. Of course not together. But I believe National Donut Day happened during this week so all the talk about donuts in the media just made me want one. Or two. Hehe. Any Baby/Pregnancy Related Purchases? Yep. After realizing that Baby P could come as early as 37 weeks, I kinda freaked out because I sure as heck did not feel like we have EVERYTHING we need to accommodate Baby P once she’s here. So on Sunday, hubby and I went down to Babies R Us to purchase our stroller and a co-sleeper bassinet. 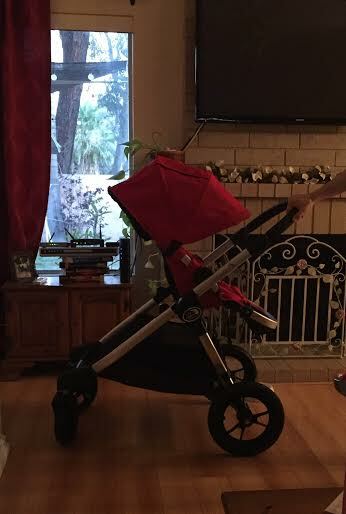 The stroller we had originally put on our registry was one we thought we truly wanted. 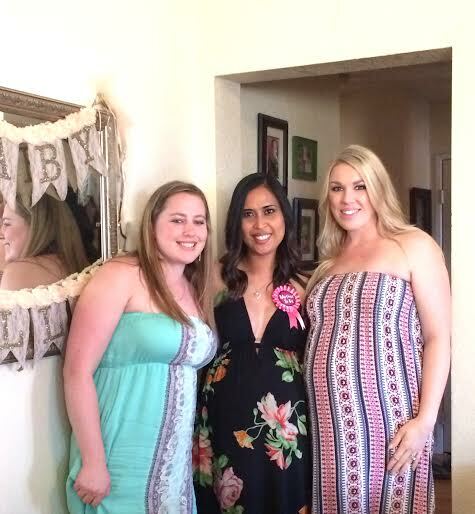 But after the baby shower, I started to feel like maybe we didn’t research and compare hard enough. 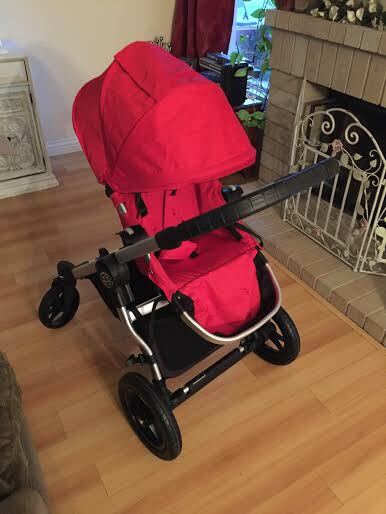 So I spent the entire week researching strollers online – different sites and YouTube. And let me tell you, that was just exhausting to me. I’d go back and forth between 2 or 3. I just wanted to make sure that the stroller fit our lifestyle. I mean, we don’t have big cars so trunk space is limited. We wanted something that was lightweight and versatile. We definitely wanted a stroller that would grow with our family – I mean we plan on having at least one more baby in the next couple of years. Of course we didn’t want to break the bank on this purchase but if we felt it would be a good investment then we were willing to spend a little more on it. Anyway, we spent 2 hours in the store test driving our old choice (the GB Evoq) and then 2-3 others we liked. 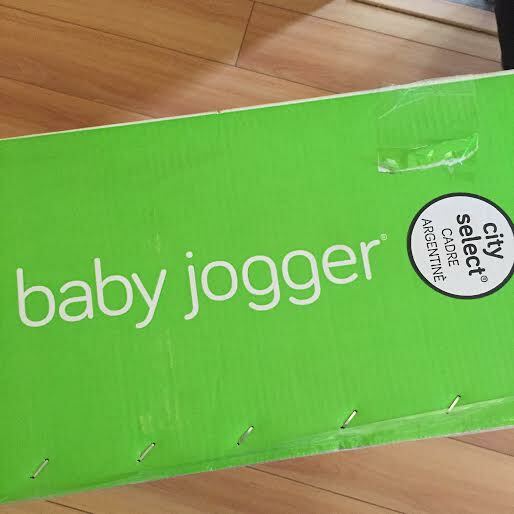 And at the end of the 2 hours, we finally chose the Baby Jogger City Select stroller. And we couldn’t be happier with our choice. 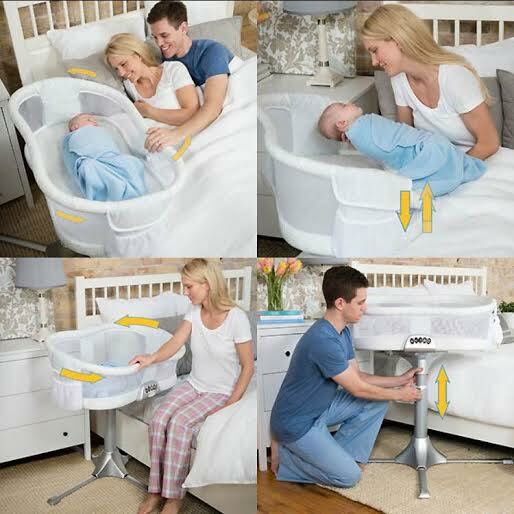 And we can’t forget the co-sleeper bassinet! Baby P won’t be sleeping with us in our bed because our bed isn’t big enough and I just have a feeling my furbaby Tipsy wouldn’t like it very much. But I still want Baby P close enough to me so I can sneak a peek at her while she’s sleeping and also be able to nurse her when she gets hungry through the night. And since our bed is pretty high off the ground, we thought this one would be ideal. It even swivels on its base, so that’ll make it easier for me to get in and out of bed for bathroom trips. Stretch Marks: With this huge watermelon of a belly that seems to keep growing and growing I am surprised that I am still stretch mark free and I am totally grateful for it! Miss Anything? Same as everything in the previous posts: Being able to workout hard. Being able to wear whatever I want. All of it. Belly Button In or Out? An outtie. Definitely. Wedding Rings On or Off? In my last post I said they came off. Well, the swelling hasn’t been bad this week… my feet were okay. And there were little to no swelling at all in my hands/fingers. But just to be safe, I am keeping the rings off for now. Happy or Moody Most Of The Time? For the most part, I’m happy. Like on cloud 9 happy. But with the whole thing with the stroller, I definitely had my moments of irritability. Even had a crying fit about it over lunch before we even made it to Babies R Us that day. Yeah, gotta love those pregnancy hormones! Any Movements? All day every day! Fun and/or Interesting Things From The Week: Well, it was my last week of work! Woohoo! Maternity Leave started on June 11th for me and June 10th was my last day. 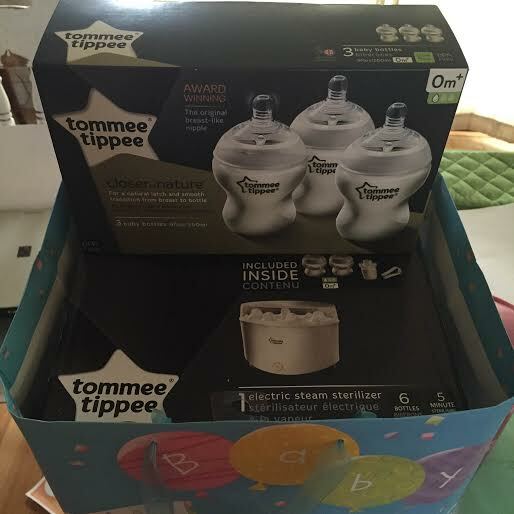 My visual team members threw me a mini baby shower and they all chipped in and got me some baby bottles and a sterilizer that were both on our registry. But needless to say, I am sooooo glad I’m finally off work. Being on my feet and running around all day just killed me. I had restrictions sure… but even with sitting every hour for 10 minutes on top of my normal breaks weren’t enough for me. Looking Forward To: Enjoying this time to nest and prep for Baby P! And taking advantage of this pre-baby maternity leave portion to relax and enjoy some me time and some hubby and me time. 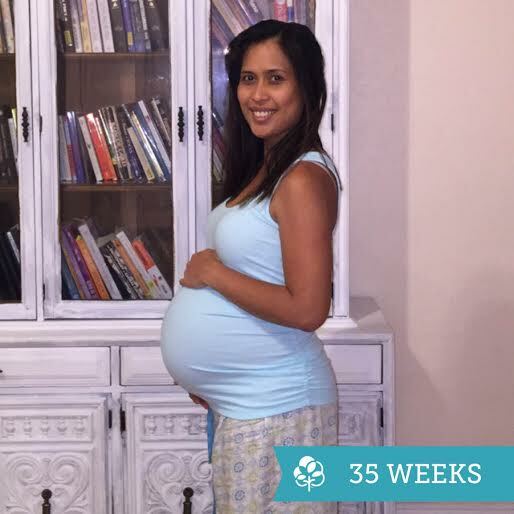 By the time you read this, I will have already entered my 35th week of pregnancy. Can’t give ya an update of what my 34th week was like until I’ve actually finished the week, now can I 😉 ? What Is Baby P Up To This Week? Fat layers – which will help Baby P’s body temperature after birth – are filling her out, making her rounder. Baby P’s skin is also smoother than ever! Her central nervous system is maturing and her lungs are continuing to mature as well. It’s good to know that babies born between 34 and 37 weeks who have no other health problems generally do fine but may have to stay in the neonatal nursery for a short time. But Baby P better stay in till at least 37 weeks! 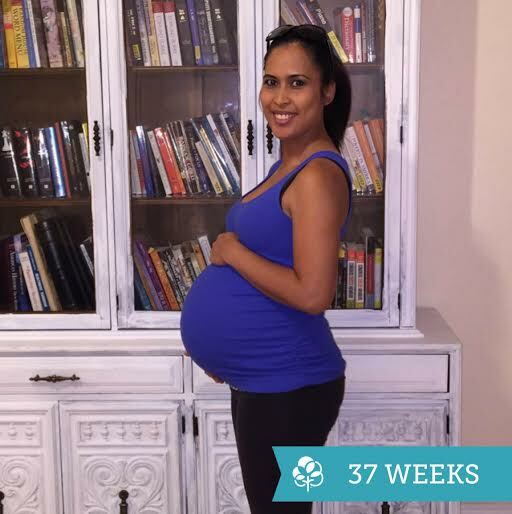 Weight Gained: We’ll know at my 36 week checkup! I don’t want to step on the scale especially after indulging over the weekend. 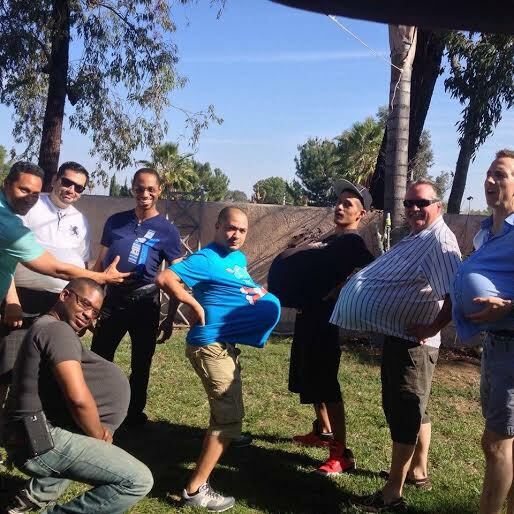 With the baby shower and all… yeah there was a lot of eating involved. Workouts: You’ll be happy to know I snuck in a couple of strength training workouts to prep for my photo shoot and baby shower. Yup, pretty vain. But whatevs… I wanted to make sure I looked good (despite feeling like a cow) for the pics that were gonna be taken over the weekend!!! mild swelling of ankles and feet – being on my feet all day has its perks (note the sarcasm)! I have been drinking water like crazy to help keep the water retention down but I guess that’s just not enough. I really, really hope it doesn’t turn into full blown edema. TMI alert! But there has definitely been an increase in vaginal discharge. I told you TMI! backaches – surprisingly enough, not as bad as before. I’ll take it! Food Cravings: Nothing in particular. I mean maybe sweets? But nothing specific really. Sleep: Can’t complain! I’m not uncomfortable and am able to sleep through the night. Even with the frequent bathroom visits, I’m able to just fall right back to sleep. 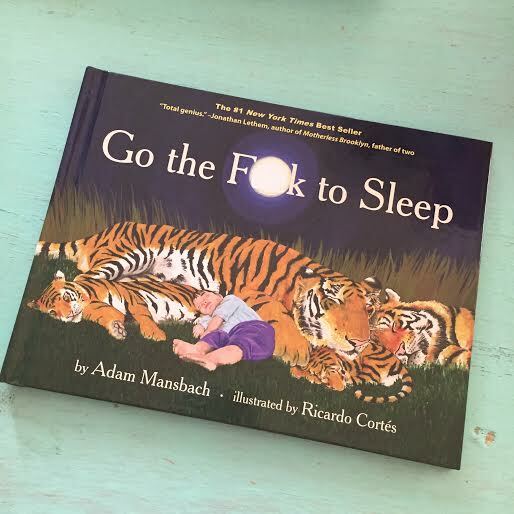 Any Baby/Pregnancy Related Purchases? Not this week. But we will be breaking the bank in a couple of weeks for sure. Gotta get ready for Baby P’s arrival!!!! 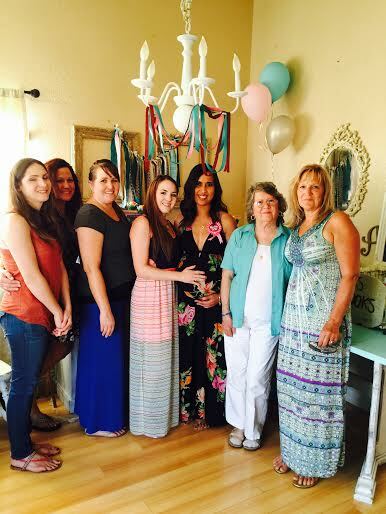 But we did get a lot of stuff at our baby shower!!! Baby P got a lot of clothes, diapers, and wipeys. Stretch Marks? And the belly is still completely stretch mark free! Yay! Miss Anything? 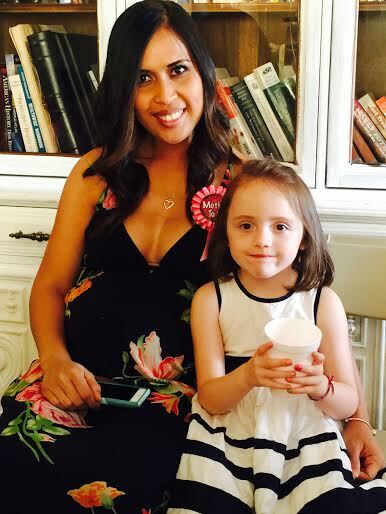 Sometimes I really miss Fab Fit Jane… but for the most part, I’m really loving being the mama-to-be to Baby P. Watching the belly grow to the size it is now has been such an amazing experience and I fall in love with her more and more every day. I would not change this experience for the world. I know I will get back to Fab Fit Jane again one day… but right now, I’m just enjoying the ride. Belly Button In or Out? Out. It’s just out. Wedding Rings On or Off? And the diamonds have finally come off! With the heat that rolled through SoCal over the weekend, I think my body just decided to swell a little all over. I usually take my rings off when I shower so the night after our baby shower, I noticed my rings did not come off as easily as it normally did. And I don’t want them to get stuck on my finger especially when I go to the hospital for that BIG DAY… so I finally decided to keep them off. And boy do I feel naked without them on. Happy or Moody Most of the Time? Happy, happy, happy!!! Any Movements? The usual kicks and jabs… but a lot more rolling, twisting, and turning. Sometimes the movements hurt. Like a lot. Especially when it happens near the lady parts. I feel a lot of movement when I’m sitting down. I’m guessing it’s because the sitting position minimizes space in the belly and she doesn’t like to feel cramped…so she moves around like crazy. Fun and/or Interesting Things From The Week: Yes! Let’s start with the maternity photo shoot. I had originally planned to get these photos done at around 28 weeks but some things came up and financially, it seemed completely out of the question. So I kinda just put the whole idea on the back burner because the thought of not doing the photo shoot got me all depressed. But somewhere around my 30 week mark, we decided to just do it. I mean, we’ll never get this chance ever again, you know? So I contacted the photographer I finally chose (that’s a whole ‘nother story – I just could NOT make up my mind) and booked an appointment that worked with the hub’s and my schedules. 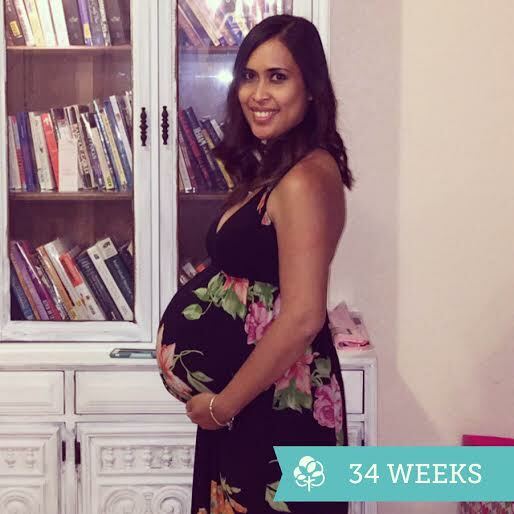 Turns out that she was booked up until my 34th week… the week my belly is like the biggest EVER! 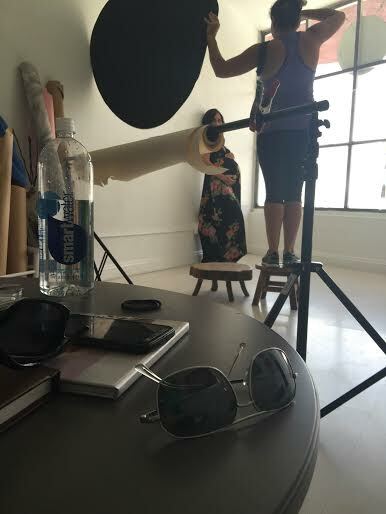 Note to self: For baby #2’s maternity shoot… BOOK IT FOR MY 25-30 WEEK MARK K? Anyway, the photo shoot was a lot of fun! We went to the photographer’s studio and did some intimate/romantic shots there. Then we walked around Claremont Village and got some great outdoor shots as well. We were really happy with the overall experience and we CANNOT wait to have Baby P’s newborn pics taken once she’s here. Here’s a behind-the-scenes pic the hubs snuck in while he waited for his turn at being in front of the camera. 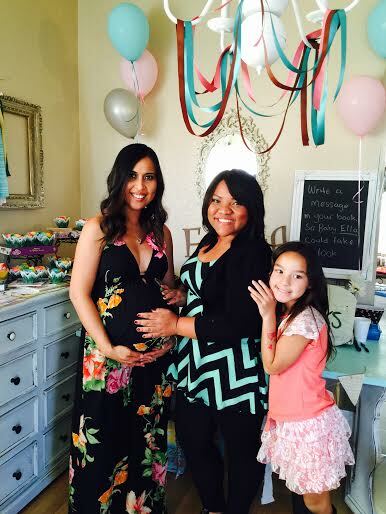 Now let’s talk BABY SHOWER!!!! It was PERFECT!!! My sisters-in-law planned the whole thing. The only input I had with the whole thing was the theme and the color scheme. I wanted an Enchanted Garden theme and the Hubs wanted to incorporate Books into the mix… so it became an Enchanted Garden fused with Fairytale Storybook elements and it was just perfect. 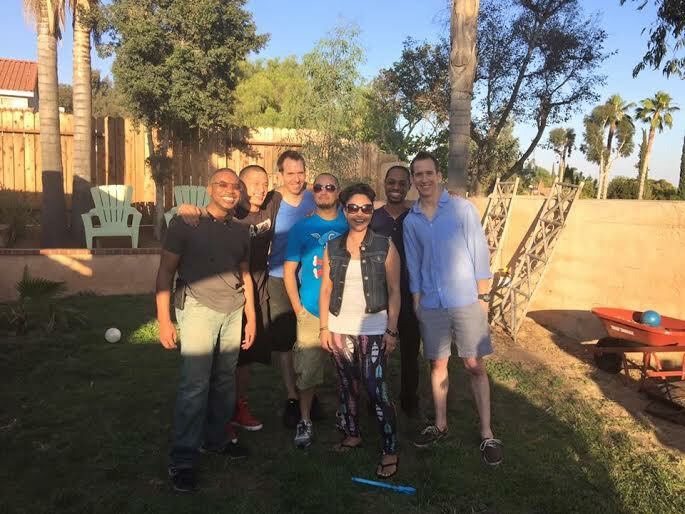 It was a co-ed baby shower and all of our closest family (my Hawaii family was unable to attend) and friends in attendance and it just turned out to be awesome. 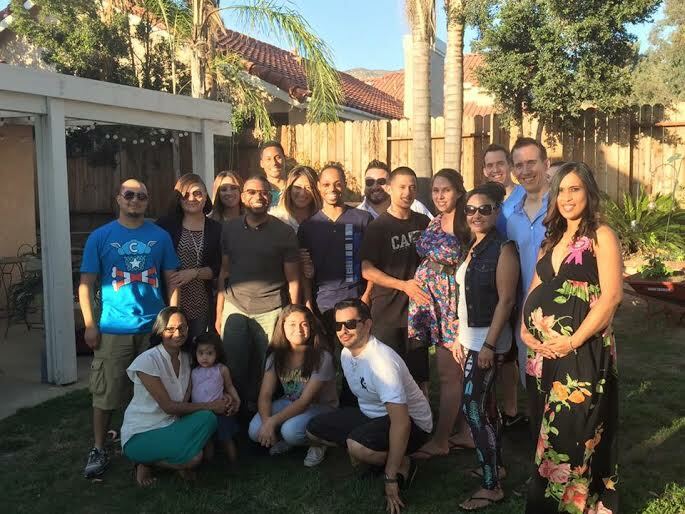 It wasn’t your typical baby shower… it was more of like a “kick back” type of gathering.